Interested in attending Stevens to study in the field of Engineering? Review the most popular degrees and majors within this academic program, the number of students who graduated during the 2016 - 2017 academic year, and the average starting and mid-career salaries graduates earned. Stevens Institute of Technology offers 10 distinct undergraduate degree(s), concentrated into 10 major(s) within the field of Engineering. Across all specializations under the umbrella of Engineering, Stevens Institute of Technology awarded 430 undergraduate degrees in 2016 - 2017. 24 degrees were awarded to foreign nationals. The majority of degrees ( 72.0% ) were awarded to men. The following chart and table show how the 406 undergraduate awards given to U.S. citizens in Engineering were distributed at Stevens Institute of Technology. Interested in Engineering at Stevens Institute of Technology, but aren't quite sure what specific major or concentration you should declare? 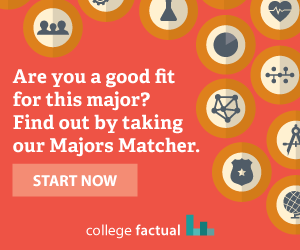 These charts and tables will break down the numbers for you, from how many graduates are enrolled in each major to how much money past graduates have earned, both when starting their career and at mid-career.